With the new minutes out and the CSM process in full swing, types of holes are more important than ever. Three types were mentioned in the minutes, with black holes being by far the most notable in subsequent conversations with the community. Interestingly, pulsars and wolf rayets were mentioned as possible targets for revision as well, due to the effect they have on capital reps. Let’s pull back the curtain on the wormhole slog and see what kind of effects should be targeted. Black holes are without a doubt the worst type of wormhole for any long time resident. There is a large velocity boost, which can be interesting for making your Maledictions do stupid things you can post on Youtube. However, with a decrease in intertia and lower damage projection range, the practical effect of any real combat is like trying to have a boomerang fight on the back of a moving pickup. It just doesn’t work. This has led to the larger wormhole community eschewing contact and even sleeper shooting in those systems. A change is a good idea – it will clearly open up a bunch of new systems and hopefully add an interesting dynamic to combat. What type of dynamic should that be? Some outside the box ideas thrown against the wall have mentioned making it an industrial wormhole in an effort to lure other types of pilots into w-space. I think the smartest way to go about any changes would be to add new dynamics to the way fights could play out. If you have an idea about us wormholers, I think a small change like that would keep us entertained for much longer than the effort it would take to modify the effects. 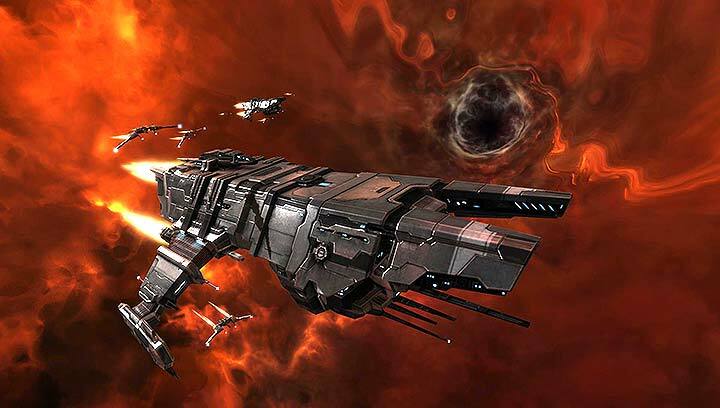 CCP Fozzie also mentioned changing pulsars and wolf rayets due to their effects on capital reps. This change interests me the most, as it has far reaching implications. In fact there are a number of large wormhole groups that have set themselves up in a pulsar or a wolf rayet to enhance their system defense doctrines, with pulsar being particularly niche due to the prevalence of armor ships. Changing either of these systems results in either a mass exodus out of those types for the large alliances, or a wholesale change in wormhole home defense, and its hard to tell which one would be more likely. What kind of change this spells for capitals is hard to tell. They are already the titans of w-space, almost always dependant on neuts to destroy in the small engagements. In pulsar and rayet systems this is even more strongly the case, with only very specific huge fights as the exception. I certainly don’t think an increase in capital reps would radically overturn the w-space meta. It would only perhaps increase the chances for you to have to achieve neut superiority, which is very often the case as it is. The extremely large capital on capital fights would be changed, although it’s impossible to tell for the better or for the worse without being able to look at the mechanics themselves. Finally, there’s the speculation of possible changes. If we’re going to journey down the rabbit hole, pulsar and rayet systems could simply be tweaked to offset the capital changes as needed. They did not show a reluctance to do this for the capital turret changes. If a shakeup is the goal, perhaps a change is better suited. However, I think allowing alliances to be able to pick a superior defense doctrine and have the system effects enhance the effectiveness is a good type of defender’s advantage. It encourages smart tactics and planning, without being prohibitive. These types of effects are what I think should be encouraged with developer feedback. While there are shield and armor tank wormholes, what about a turret and a missile bonused wormhole? Or even a hybrid, laser, and projectile wormhole? What about an active (without capitals) wormhole and a passive wormhole instead of a remote repair wormhole? 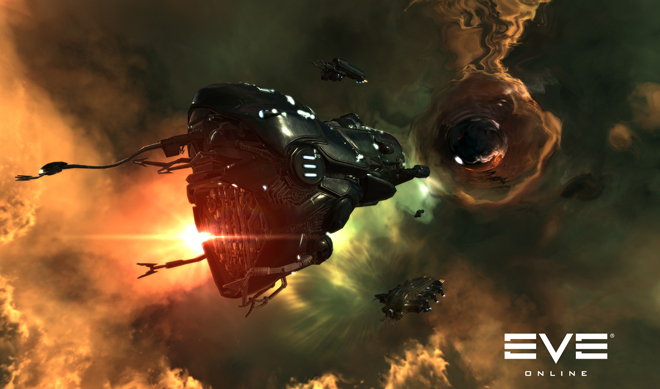 Perhaps it’s possible to craft a type of wormhole around a different kind of fight: be it nanoing, small gang, or ship classes. While the upcoming T3 rebalance would definitely do the trick, (and make all of us much poorer at the same time) system effects are a fantastic way to throw a wrench into w-space and give a some of the fun of mad experimentation once again. If that is the point, why stop with just three? Joran has a new twitter account. Follow him @SyncheofGames. When he's not writing about games he's probably playing them.